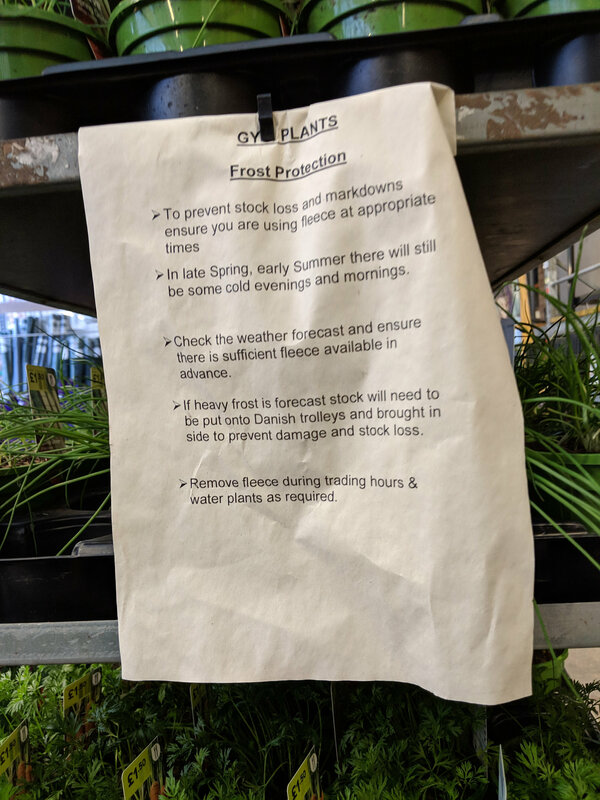 Saw this instruction note on the side of a plant cage at B&Q yesterday...all good advice, but how frequently do we all see frost bitten plants at the DIY superstores. Have picked up some good plants over the years but they can be so inconsistent it's infuriating. At least lucky enough to have a couple of fantastic family run garden centres and nurseries at a 30min drive. But how infuriated do you get to see perfectly good plants ending up in the bins of a store...or the aisle of crisp and dead. Garden Centre near me is filling up with flowering tender summer bedding plants. B&Q seem to have put some thought into their gardening section. They removed Glyphosate even before the new ban came into effect and my one at least, is recycling plant pots. They say to give them to a staff member, though they might have a shock if I took in even a fraction of the colllection in my garage! 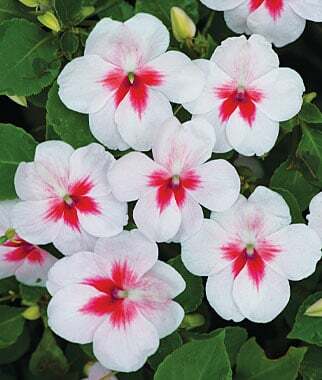 The plant selection seems as if it may be a bit more sensible too and they have had some good plants at good prices. I suspect there will be a lot of summer bedding sold this weekend. 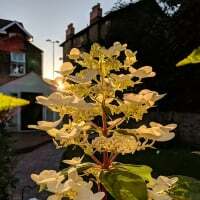 Not only is it a Bank Holiday, but the forecast (at least down South) is for temperatures around the 20-22 degree mark. I wonder how much of it will survive? It's not banned, as far as I'm aware? Not yet, ban comes into effect next year, I believe. As far as I've read , no ban for at least 5 years when it's due to be "re-considered". As far as I remember it was another ingredient in roundup that was banned, one of the wetting agents I think. They have reformulated it without that ingredient. The "ban" will only apply to domestic users. Local Authorities, Highways agencies and farmers will be exempt from any "ban".